Club Penguin Cheats by Mimo777 Club Penguin Cheats by Mimo777: You are invited to... 'The Chattabox Oscars Party'! 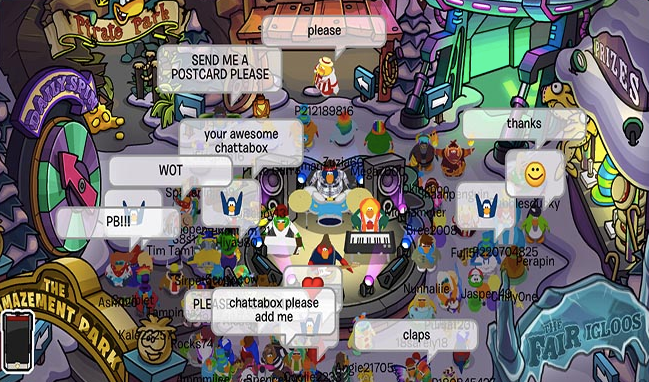 You are invited to... 'The Chattabox Oscars Party'! Last week I had the chance to see some of your fun-filled “fair themed” igloos and they were awesome! You guys are so creative and I had so much fun playing all the games you had. Check out the picture below of everyone listening to The Penguin Band before visiting the igloos – rock on Penguins! I’m so sad its the last week of The Fair, it’s been such a good party – don't you agree? Did you know The Oscars were held in America this week? Everyone looked so nice in their suits and dresses. I’m going to be holding my own Oscars party this Thursday in my igloo and I’m so excited! Come along dressed in your best red carpet outfits – I’m thinking lots of glitz and glamour. Or you could every come dressed up as one of the Frozen characters – the film won 2 awards at the ceremony – go Frozen! Also, make sure you practice your speeches, you’ll all be Oscar winners at this party! Don't forget that's for all of us in the US and Canada! Sounds like a party!